Ojay, established in 1978 offers a range of women's clothing suitable for smart casual wear and the modern office. Its range includes jackets, tops, pants, skirts and dresses and some basics which can be mixed and matched over their more vibrant pieces. 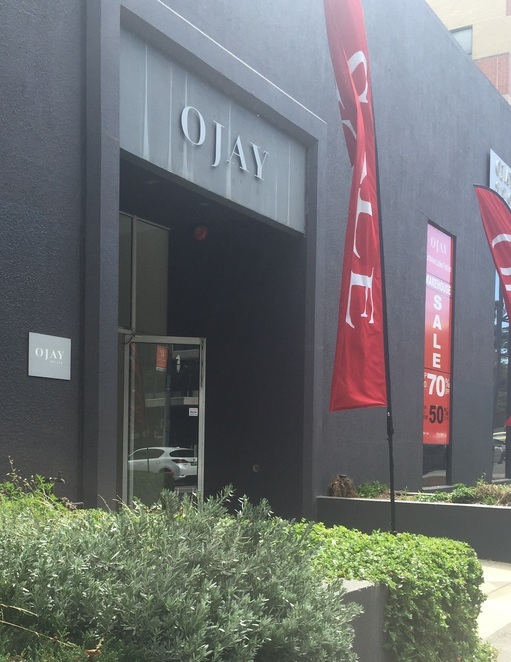 Ojay's warehouse store is located at 671 Chapel Street in South Yarra, an approximate 5 minute walk from South Yarra train station. The warehouse, is as its name suggests, a large retail space with lots of room to peruse their sale items. The warehouse has large change rooms too. 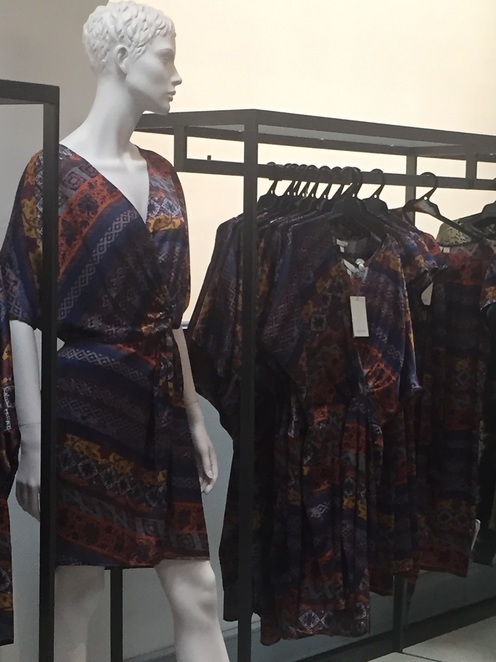 The warehouse store stocks a number of different styled dresses, with silk a feature of many. Characteristic of Ojay are print dresses and tops, shift dresses, and wrap dresses along with more tailored pieces. They even have a small collection of shoes. The warehouse store has some great sales, often with 50% off all items in store - even their already reduced red price tag prices are reduced by 50% so when I visited, a large number of dresses at $99 red tag price were half price again. Enter through the main entrance off Chapel Street as shown. To keep abreast of Ojay's sales visit their Facebook page. The Ojay website also has details of their sales, sign up for their newsletter and browse their collection of women's clothing.